Trees are a part of exterior décor and landscaping. Employing tree care services will be ideal to ensure your trees are attended to professionally to maintain their health and stature. The location of trees, type of trees and the proximity to other features like buildings, water sources, electric wires, houses and fences is key to ensure you do not affect the environment and the surrounding. Here are Top 10 Questions to Ask When Hiring a Tree Care Service to enable you get value for your money. Are they a certified service company? Look for a company that is certified and has several certified arborists from the International Society of Arboriculture. If not, do they have Certified Tree Care Safety Professionals? What will be the duration of the project? You need to be told how long your project will take to be complete. The time frame will vary with each company. Is a work contract and an updated certificate of insurance being issued? Knowing that the company is fully insured and in case of any damages, injuries or accidents, you will not be liable. Getting a copy of the work contract will allow you to go through the terms and conditions prior to getting into a deal. Can references of rendered service be provided? 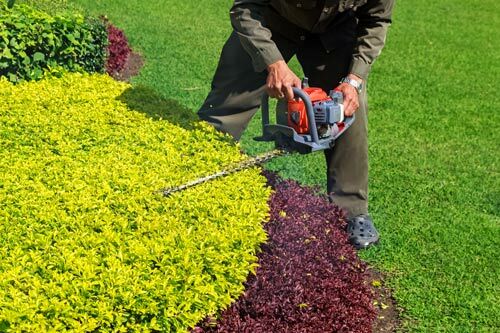 A good and reputable tree care service company should be able to give a list of customers they have previously served and have been satisfied. What is the estimated price of the entire project? You need to know how much in terms of finances you will need to cough for the entire project or a section that is agreed. Without this, you might end up feeling overcharged after work that doesn’t need to be paid for highly. Can professionalism be depicted from the outlook of the service company? Check if the truck or wagons are clean, well maintained and cared for. How well are equipment like? Such scrutiny can help you determine the genuineness and work abilities of a company. How their office surrounding looks like will give you more hints. What is their job schedule like? What time do the grounds men begin working? Which equipment are they carrying along? If some will be too noisy, you will need to address this issue prior to the main day. Are the grounds men using protective equipment? The law requires that occupational safety should be mandatory when working on any property. Workers should have protective gear on. Are spikes used in tree climbing to prune? Spikes cause bad wounds and if you are not removing trees then tell them not to use them. Do they include topping in their service list? Topping is wrong for hardwood trees that are large and healthy. If they do topping, you might have to change your mind. For more information click here.